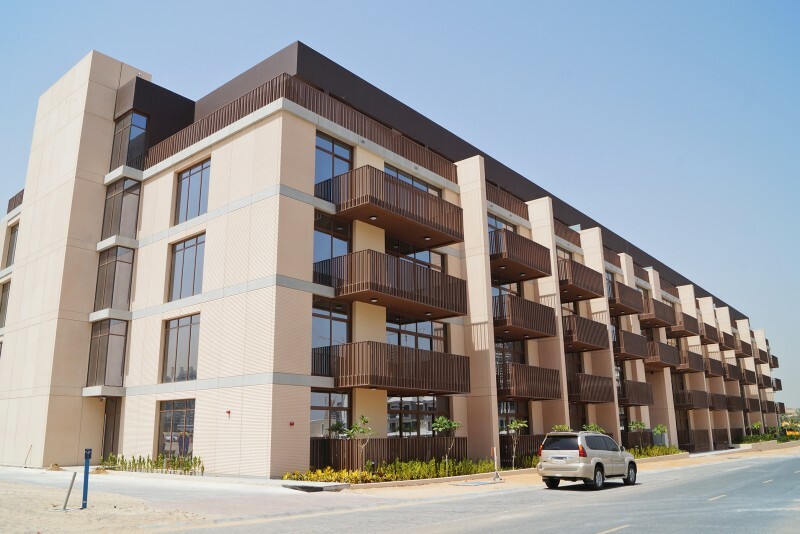 Jumeirah Village Circle is a new development situated alongside Sheikh Zayed Road, the main highway running the length of Dubai. 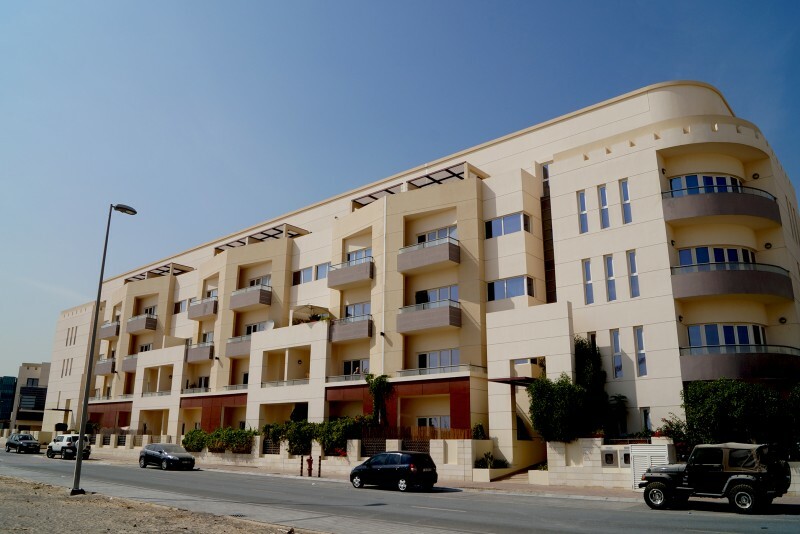 The housing here consists of large villas, town houses and apartments. Whilst you can find fully occupied properties here, there is also a lot of construction activity going on. At the end of 2016 an estimated 25,000 people were living in JVC and the population was predicted to rise to 300,000 when the 560-hectare community is fully complete. 33 landscaped parks totalling an area of four million sq ft had all been completed. 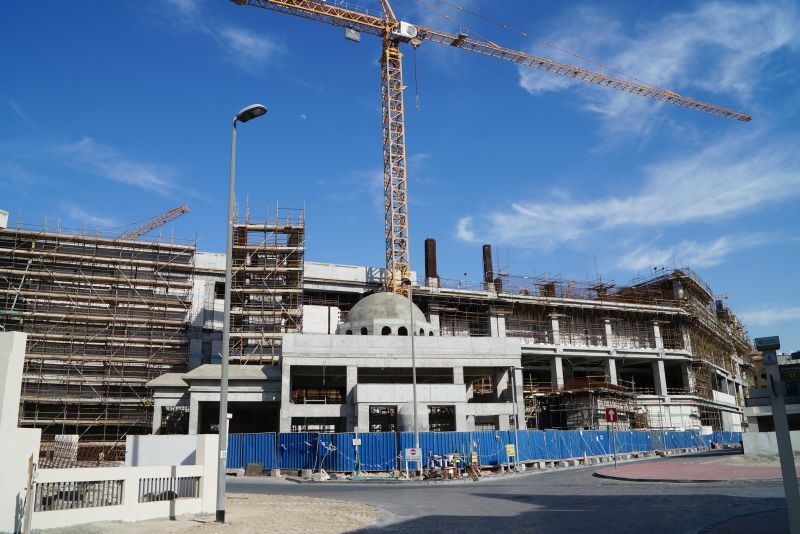 The Circle Mall, with 235 shops, an anchor supermarket, two department stores, a multi-screen cinema, a health clinic, cafés, restaurants and a food court,is under construction. It missed its target opening date of 2017, so maybe it'llopen in 2018. More than a thousand buildings, villas and townhouses in JVC were either complete or under construction, and another 183 residential, commercial and hospitality buildings were in the design stage. 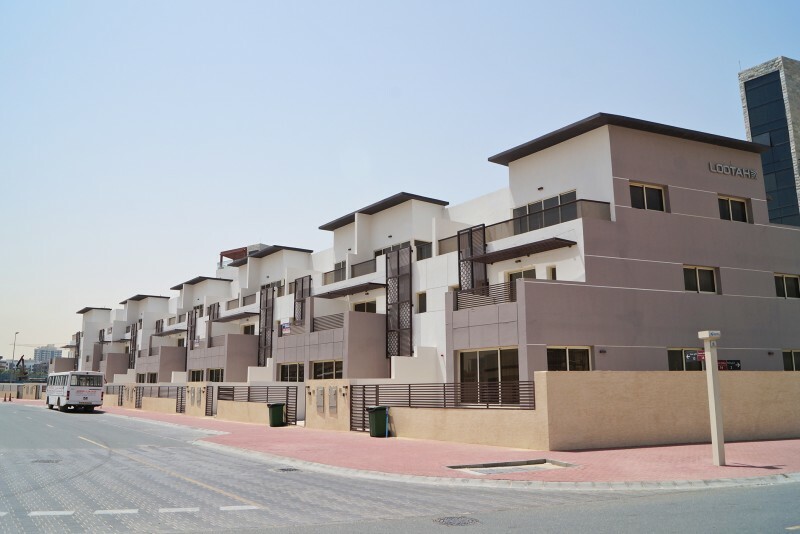 The existing villas in Jumeirah Village Circle are spacious with large rooms, balconies and up to five bedrooms. 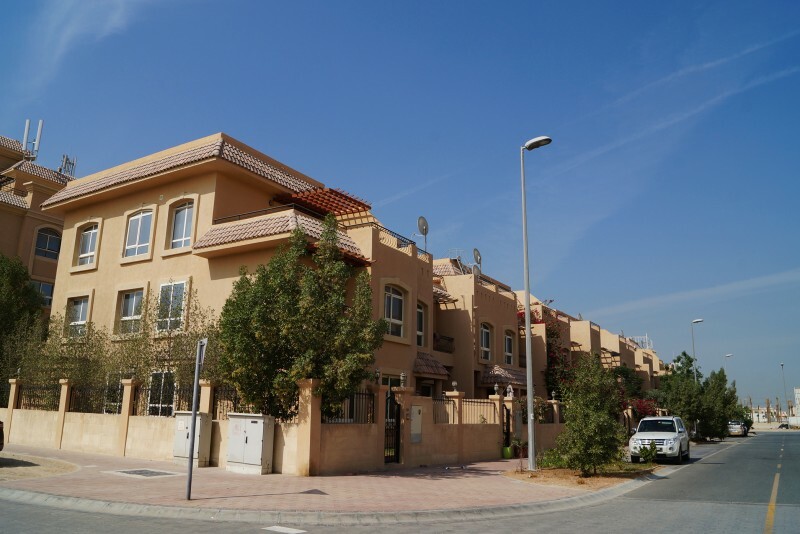 For those looking for smaller properties but with large gardens neighbouring Jumeirah Village Triangle caters for couples and small families. For those looking to buy in a good location before prices rise, JVC may well fit the bill. 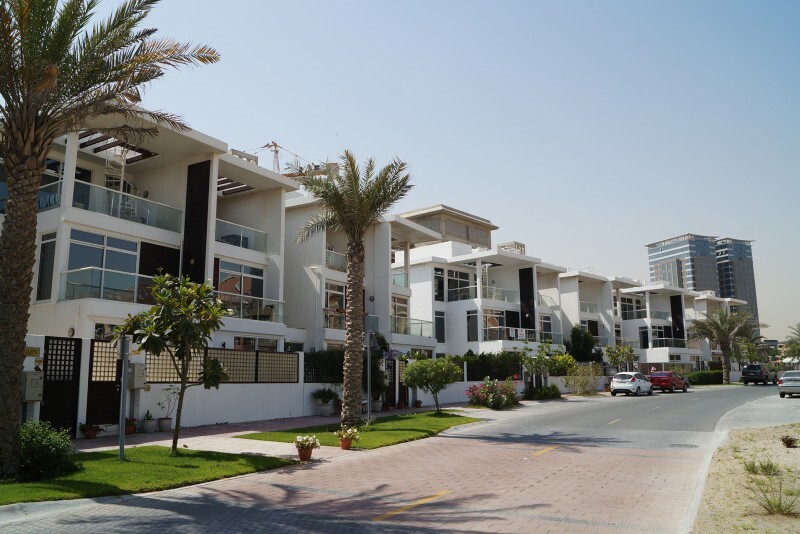 One-click links to properties currently on the market in Jumeirah Village Circle. The main attraction here is the opportunity to invest in a property without having to spend a small fortune. Despite the lack of local shops and other amenities, residents can easily get to neighbouring, established communities where these things are plentiful, in Motor City, The Springs and The Meadows. So while green spaces and retail excitement do not yet feature in JVC, at least the place is well located. A Choitrams supermarket opened in March 2016 at Manhattan Towers towards the north of JVC. Nakheel is creating a new community club on top of The Circle Mall by adding a pool, sports and restaurant complex to the roof. The JVC Club will include a 300-seater restaurant, a swimming pool and sundeck, two tennis courts, a gymnasium and landscaped gardens, all with views across the main community park. The Club is due to open in 2018. In January 2017 Nakheel announced a series of new, linked cycle routes to be created around its communities in Dubai, including a 27km track around Jumeirah Village Circle. Work is expected to be finished in 2019. 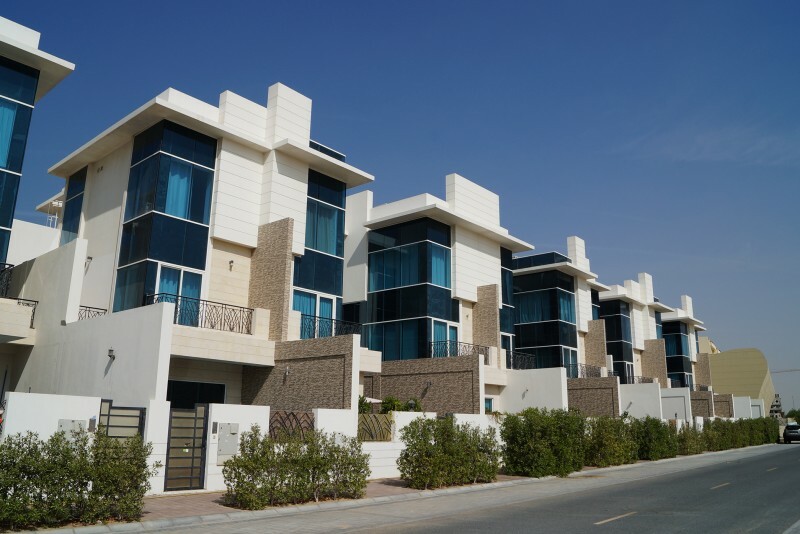 Living at the junction of the Sheikh Zayed highway and Al Khail Road more or less anywhere in Dubai is within easy reach provided you have a car; 30 minutes to the airport, 20 minutes to Dubai Mall, 15 minutes to Dubai Marina or Palm Jumeirah, and one hour twenty to Abu Dhabi. 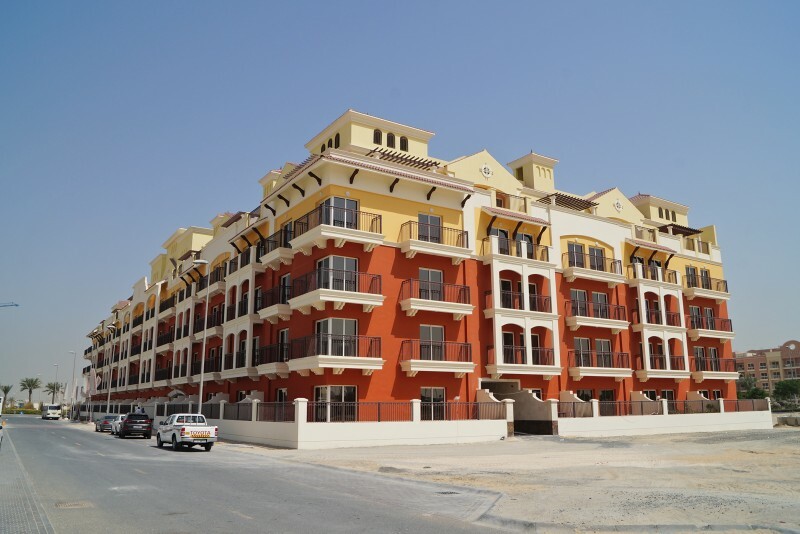 Three new entry-exit points connecting Dubai’s Jumeirah Village Circle with Hessa Street opened on 12 October 2016 following the completion of an Dh18.5 million roads improvement scheme by master developer Nakheel. The work means easier access, shorter journey times and improved traffic flow at JVC, one of Dubai’s largest and fastest-growing communities. 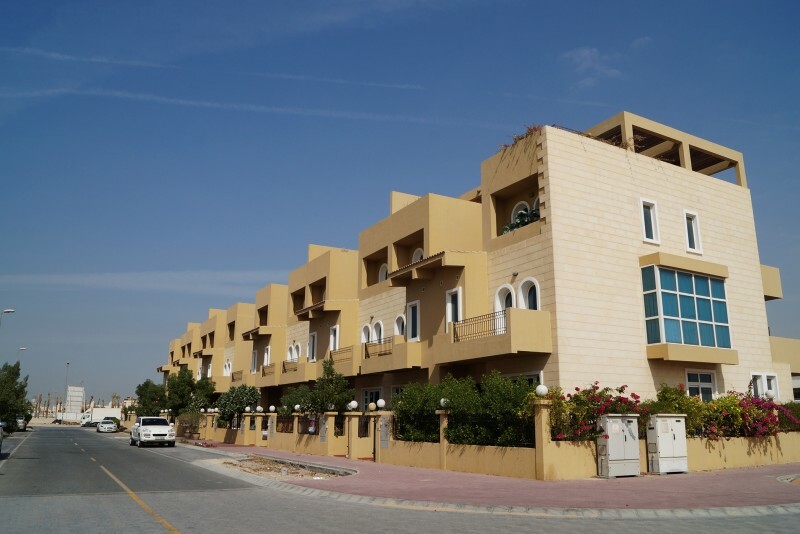 Public transport to Jumeirah Village Circle is notoriously lacking and generally limited to taxi services. A new feeder bus J01 which runs every 25 minutes to Mall of the Emirates is a big improvement and makes use of the former 'ghost' bus stops that had been taunting residents without cars for years. The closest metro station is Mall of the Emirates and there is talk of a tram system in the future according to the developer. 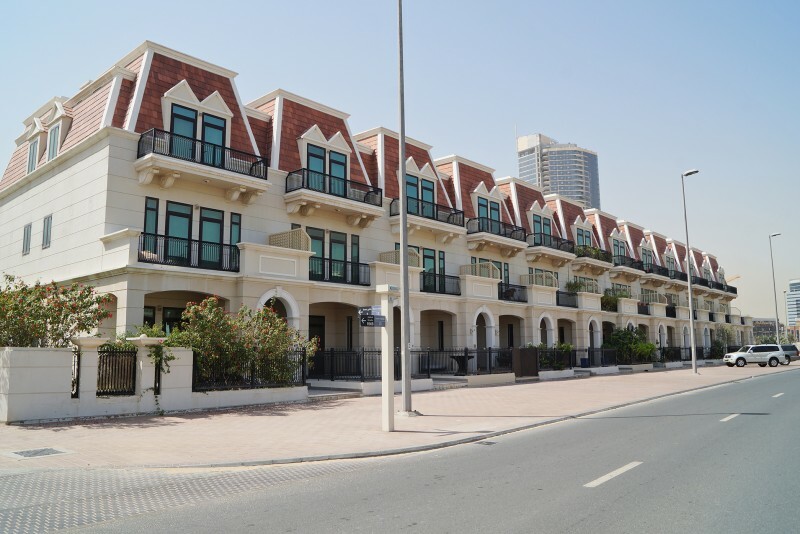 We currently maintain records for 10 sub-communities in Jumeirah Village Circle. 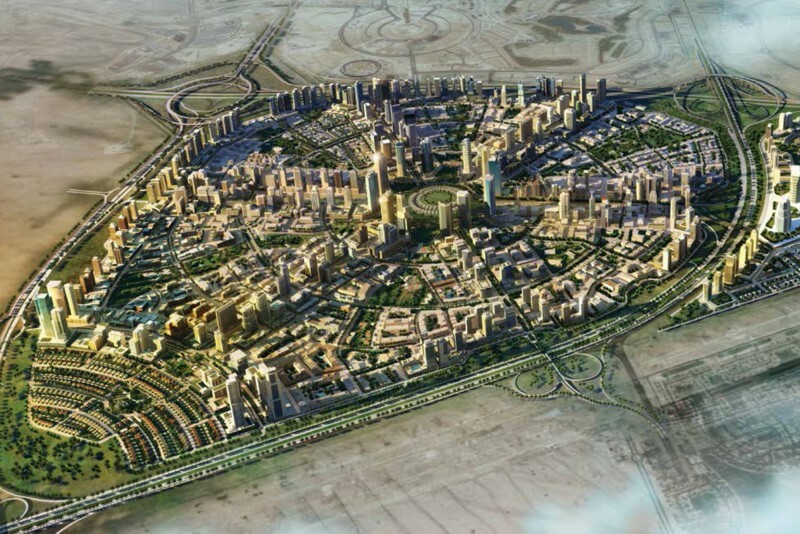 We currently maintain records for 460 building developments in Jumeirah Village Circle. 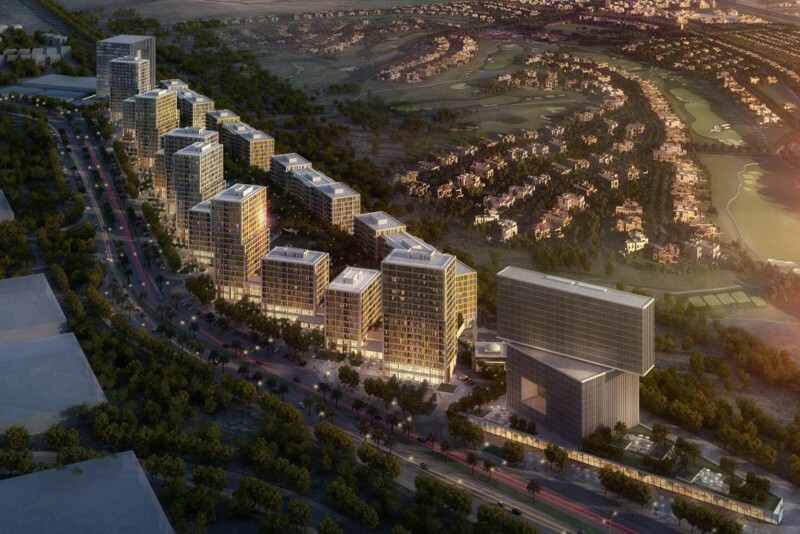 View all Jumeirah Village Circle building developments. 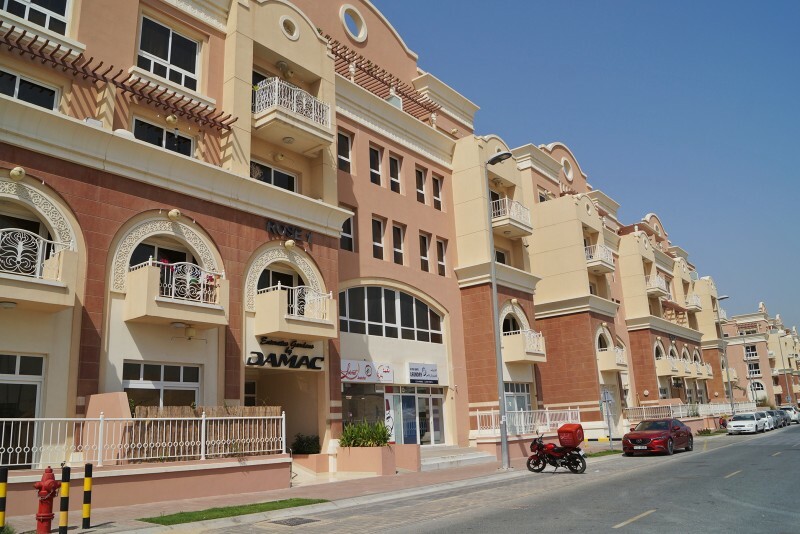 Jumeirah Village Circle reveives an overall rating of 3 based on 6 reviews. Users were asked to consider many factors including the view, finishing, layout, noise levels, traffic, public transportation, parking, security, swimming pool, gym, and maintennance. 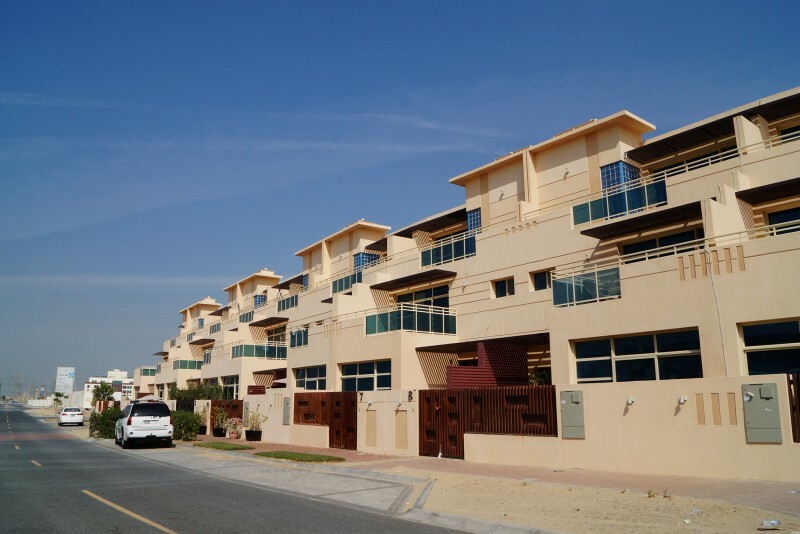 Nakheel Townhouses in JVC are awesome! No pool in the community. I like that there are lots of friendly people, I have met while walking my dog in the park. I like that there are restaurants within walking distance,and grocery shops. I left the Palm. Enough said. Construction, and its SANDY.